is laid by the mothers of the nation." The quote at the top of the page is by Josiah Gilbert Holland, author of hundreds of advice articles in the latter half of the nineteenth century. 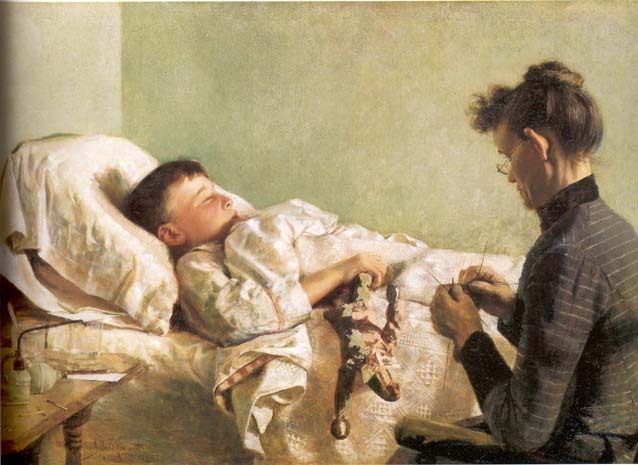 The painting on the left, The Sick Child, is by J. Bond Francisco, 1893, and the painting above, An Interlude, is by William Sergeant Kendall, 1907.
the ring of light around her head." charged with raising their children to be respectable adults. 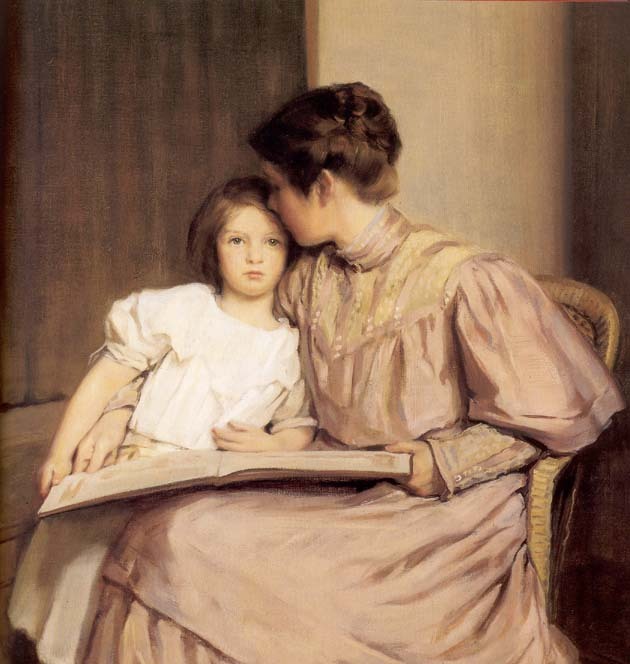 Motherhood was viewed in advice literature, particularly by the 1890s, as one of the most important contributions women could make to her family and to the nation. With the influx of Southern European and other non-WASP immigrants in the latter half of the nineteenth century, many Americans feared losing what was then considered American. Women were having less children because of new opportunities available to them and because children were no longer as necessary as they were when families worked on farms. At the turn of the century, President Roosevelt popularized the idea of "race suicide" and encouraged childbirth to ensure the longevity of the nation. 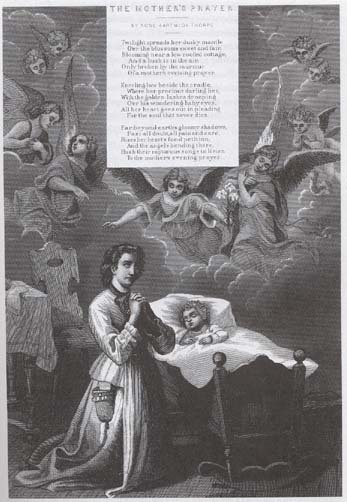 Despite the advances in medicine, many children still died at a young age. It was the mother's responsibility to pray for the child and nurse him/her back to health. 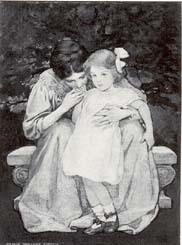 Images of women praying with their children could be found advice books (the image below is from Heart of the World, 1883). 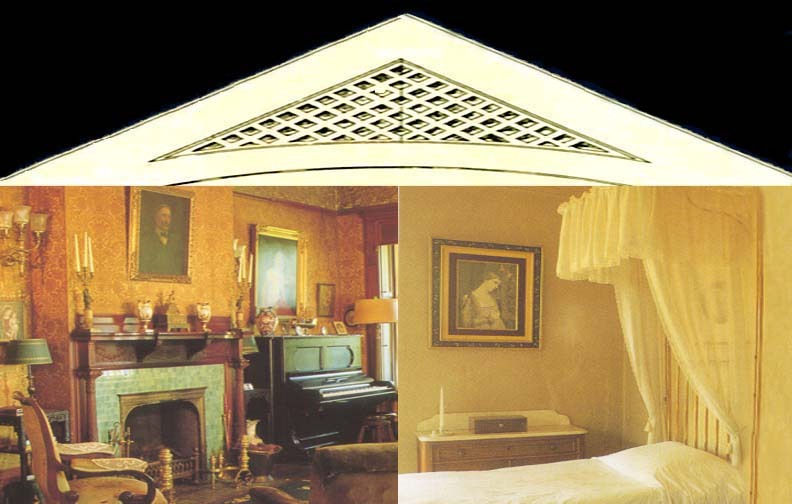 These images emphasized their roles in the home, while also adding to the madonna-like images of women that were widespread during this period. In most images of women, particularly those with children, you do not see the mother's direct gaze. Rather, the emphasis is on the child and her relationship to the child. Usually the mother or both are romantized; put in classical clothes or scenes in the home that convey a sense of peace and innocence. One of the most important American painters of mothers and children in this period was Mary Cassatt.